In The Legend of Zelda: Twilight Princess, the next chapter in The Legend of Zelda series, Link can transform into a wolf to scour the darkened land of Hyrule. With the help of Midna, a mysterious being, you must guide Link through hordes of foul creatures and challenging bosses using new moves and a new horseback combat system. Many puzzles stand between Link and the fulfillment of his quest, so you must sharpen your wits as you hunt for weapons and items. 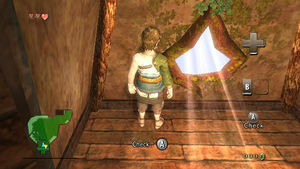 The Wii version is identical to the GameCube version, but is mirrored by design; ie. 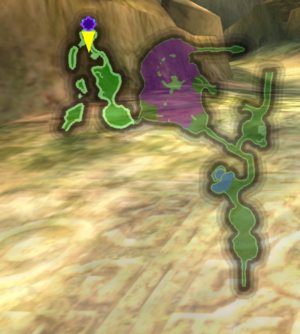 what is left on the world map in the GC version is right on the Wii. It also uses the Wii remote and supports widescreen. 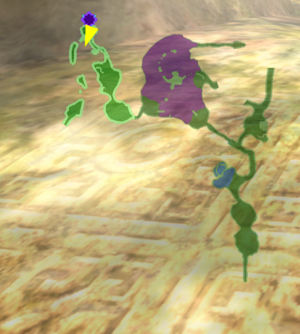 As the player progress through the game, Hyrule Field will become progressively slower. To fix it, enable the "Hyrule Field Speed Hack" in the ISO properties (right click the game in the game list > Properties > Patches tab > Hyrule Field Speed Hack). All region releases except KO, were fixed by 4.0-1767. Unfortunately, the hack will cause defects on the minimap, so it is not enabled by default. Due to the low resolution bloom, a "ghost" image will appear around certain objects in areas with high amounts of bloom. There is no known solution. With OpenGL and EFB Copies to Texture Only. If the graphics configuration menu is opened the bloom offset will disappear. Why this happens is unknown, but it appears to remain in place in testing. D3D - Anti-aliasing and an Internal Resolution above 1x Native damage the effect. Possibly fixed in 4.0-9161, or at least made equivalent to OpenGL. OpenGL - The GLSL merge (3.5-1025) greatly improves the effect in OpenGL. It is now only affected by Anisotropic Filtering and an Internal Resolution above 1x Native. Due to Dolphin's bloom issues with Store EFB Copies to Texture Only, a "ghost" image will appear around certain objects in areas with high amounts of bloom. To disable bloom completely, use an Action Replay code below. 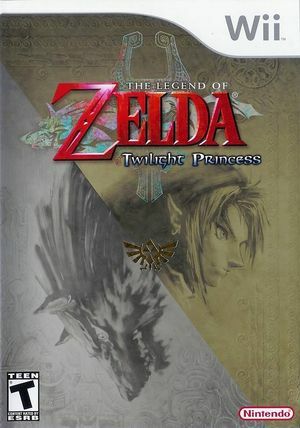 The graph below charts the compatibility with The Legend of Zelda: Twilight Princess since Dolphin's 2.0 release, listing revisions only where a compatibility change occurred. 3.0-235 Windows 7 Intel Core i7-3930K @ 3.2GHz AMD Radeon HD 6970 Constant 30FPS @ D3D9, no sound problems, no crashes, Hyrule Field 30FPS after activating "DSP LLE on Thread"
This page was last edited on 1 August 2018, at 09:54.